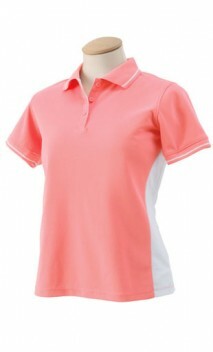 This ladies piqué polo implements some of the most advanced, cutting edge moisture wicking and ventilation technology to keep you cool in the most heated situations. 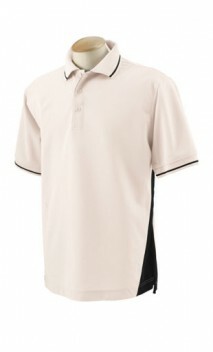 Look stylish while staying cool with this polo that features contrasting splashes of color on the sides, collar and cuffs. See other Devon and Jones® brand products or other custom performance polos. LS 0 - 4 18.75" x 23.5" 12" x 12" 12" x 12"
LM 4 - 6 19.75" x 24.5" 12" x 12" 12" x 12"
LL 6 - 8 21" x 25.5" 12" x 12" 12" x 12"
LXL 8 - 10 23.25" x 26.75" 12" x 12" 12" x 12"
L2X 10 - 12 26.25" x 28" 12" x 12" 12" x 12"
Testimonials from customers who ordered item B635 and left a comment in their survey.